Dreamwalk ProgramDreamwalk is an exciting new program designed to help you learn how to become lucid and aware during your dreams, how to hold on to your lucidity throughout a dream, and how to apply the practice of lucid dreaming for personal growth or entertainment. Did you know the average person spends approximately one third of his or her life sleeping? Consider how much more we could get out of life if we could make use of that time by learning to consciously navigate our dreams. 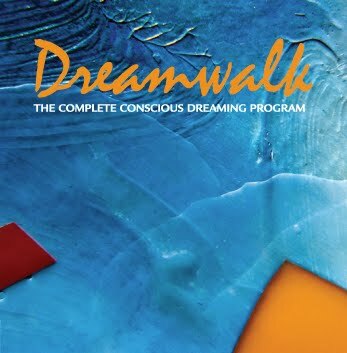 The Dreamwalk Program includes two audio tracks, which you can listen to immediately before going to bed or while falling asleep. The audio tracks use our brainwave technology to trigger a blend of Alpha and Theta brain activity in order to increase your dream recall, trigger more vivid and lucid dreams, and teach your mind how to remain lucid while the body sleeps. The program also includes interactive dream dictionary software, dream journal templates, and a guidebook filled with dozens of step-by-step techniques to help you master the art of lucid dreaming.